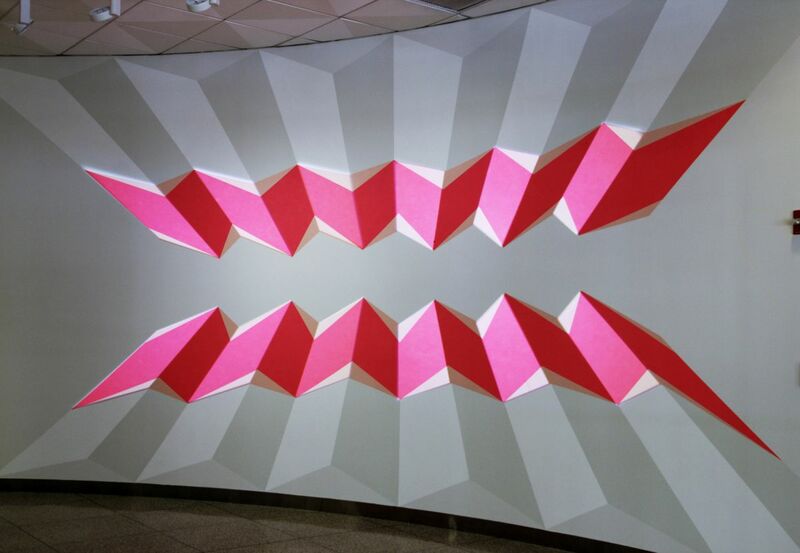 Jay Shinn's site specific illuminated wall painting, Doublerama, challenges the viewer's experience of the lobby space by confounding the geometry of the main architectural element, a curved wall. 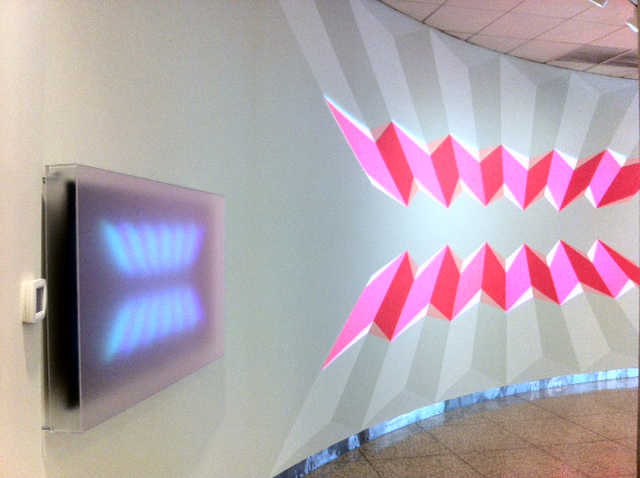 Shinn projects light on to wall painting with theatrical lenses to create the illusion of a three dimensional object floating in space. His experiential works are constructed of relatively simple geometric shapes that are deployed in intricate patterns to create origami-like structures. 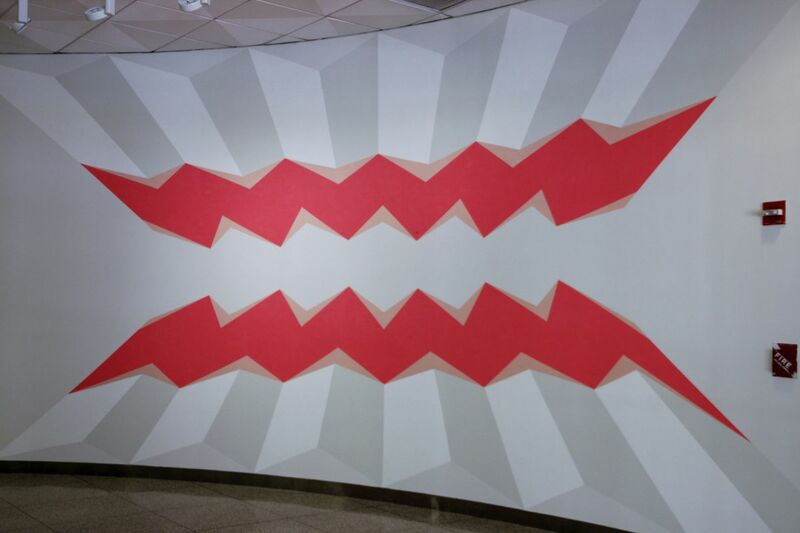 Also on view is Adagiorama, an 8-minute looping animation that references the wall painting. This is the first time one of Shinn's animations has been shown publically. The TV screen is fronted with a frosted Plexiglas box which distorts the video, blurring the line between video and sculpture. 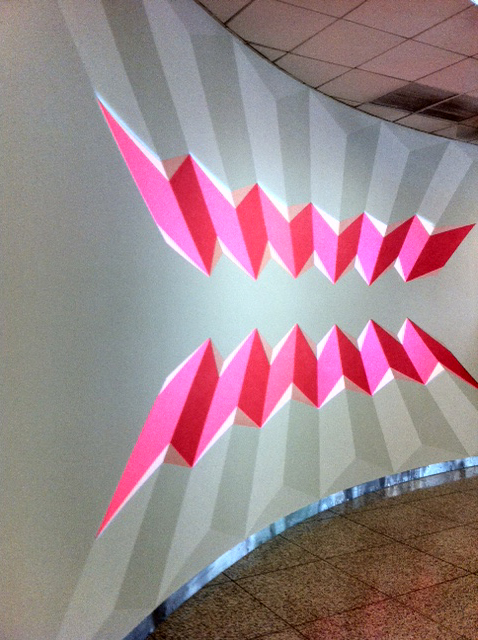 Doublerama and Adagiorama is curated by Jennie Lamensdorf and sponsored by the Time Equities Inc. (TEI) Art-in-Buildings. TEI is committed to enriching the experience of our properties through the Art-in-Buildings Program, an innovative approach that brings contemporary art by emerging and mid-career artists to non-traditional exhibition spaces in the interest of promoting artists, expanding the audience for art, and creating a more interesting environment for our building occupants, residents, and their guests.